Karen Struthers has just been awarded a Doctorate in Philosophy for her research entitled: "Pathways into Trades for Girls" from Griffith University. Karen has a background in politics as a former Queensland state Labor minister and with the Queensland Council of Social Service. She remains an Australian Labor Party member. 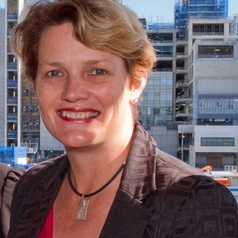 Queensland Minister for Community Services, Housing and Women in the Queensland State Government (2009-2012) and Member of Parliament (1998-2012). Assistant Director, Queensland Council of Social Service (1994-1998). Qualifications. PhD Griffith University 2016; Master of Public Sector Management (Hons) Griffith University and Bachelor of Social Work (Hons) University of Queensland.